The Religious Freedom Center at the Newseum Institute in downtown Washington, D.C., will host the 2016 International Religious Liberty Summit on May 24. A conference to be held in Washington D.C. this month aims to equip religious liberty advocates with new ideas and tools for making their voices heard. The steady rise in rates of religious persecution around the world in recent years has led Seventh-day Adventists to search for new, more effective ways to advocate for religious freedom. Studies, such as one conducted last year by the Pew Research Center, suggest that some 5.1 billion men, women, and children around the world live in countries where their ability to worship freely is restricted or denied by either an authoritarian regime, terrorist groups, extremist organizations, or by social pressures. Yet even as conditions deteriorate around the globe, religious freedom activists in the United States sometimes struggle to communicate their message, and to persuade lawmakers to support international religious liberty initiatives. 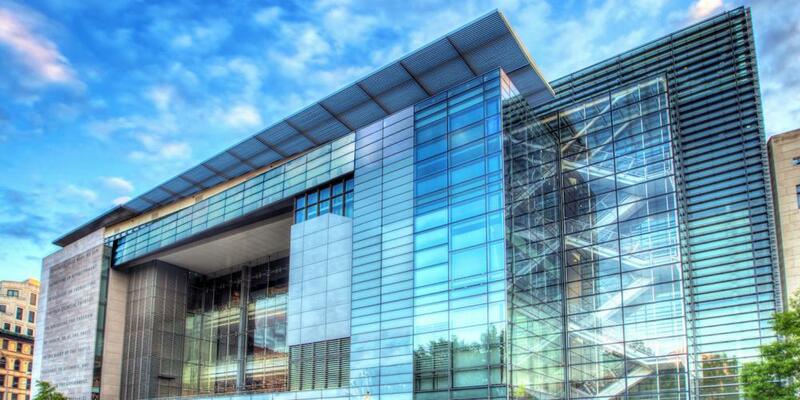 It is this reality, says Dwayne Leslie, an associate director of the church’s Public Affairs and Religious Liberty department (PARL), that has driven plans for an event that will be held May 24 at one of Washington D.C’s leading museums--the Newseum. The International Religious Liberty Summit, which is jointly sponsored by the General Conference of Seventh-day Adventists and the Newseum’s Religious Freedom Center, will bring together public leaders and religious liberty advocates to consider current challenges to religious freedom around the world, and explore ways to collaborate on shared goals. Presenters at the summit will include former Representative Frank Wolf, who was a leading supporter of international religious freedom legislation throughout his congressional career; Knox Thames, Special Advisor for Religious Minorities in the Near East and South/Central Asia at the US State Department, and The Honorable Erastus J.O. Mwencha, Deputy Chairperson of the African Union. Among the journalists who will address the group will be E.J. Dionne, nationally known political commentator and opinion writer for the Washington Post and Lynn Sweet, Washington, D.C. bureau chief for the Chicago Sun-Times. The upcoming Religious Liberty Summit at the Newseum is just one of many activities of PARL, a department that is charged with building relationships on behalf of the Adventist Church with public officials, thought leaders and other religious communities. As part of its responsibilities, the department maintains a presence at the United Nations in New York and Geneva where it advocates on behalf of religious freedom. "The International Religious Liberty Summit supports the overarching goal of PARL, which is to help position the church and its services to a standing of credibility, trust, and relevance in the public sphere,” adds Diop. For further information about the Newseum event—International Religious Liberty Summit: Effective Advocacy during the 2016 Elections and Beyond—visit the Religious Freedom Center. Are You Ready For Religious Liberty Sabbath? Adventist Speaker Underscores Human Dignity to African Union Leaders At Moscow Forum, Adventists Join Other Faiths in Decrying Religious Extremism South American Training Series Equips Defenders of Religious Freedom Swiss Adventists Promote Dialogue as Path to Peace In Washington, Adventists Convene Major Religious Liberty Summit Adventists Observe Day of Prayer as Russia Moves to Limit Missionary Activity Adventists Hold High-Level Moscow Talks About Law Restricting Missionary Work Adventist Leader Discusses Sexuality at UN Conference Ambassador Says Church Offers Tremendous Resources to International Community Theology Students in France Learn the Fundamentals of Public Affairs Adventist Ambassador to Take on High Judicial Role Adventists in Western Switzerland Hold First Religious Liberty Day No more Sabbath classes for nursing students in Bangladesh Background Information About PARL's Interfaith Activities 'Religious Freedom Is a High Priority for Church,' Adventist Representative Tells UN Envoy Why does the Seventh-day Adventist Church have a presence in the public sector?